It can be a frustrating or frightening experience when you are driving to Shoshone and you experience car trouble. With so few services in the small town, you may be afraid of getting stranded or waiting a long time for help. Being only 30 minutes from Twin Falls, however, Magic Valley Towing services all of Shoshone and its surrounding areas. Whether your vehicle has mechanical issues, you experience a flat tire, or you get into a car accident, we provide the fastest, most reliable towing service in Shoshone, including after-hours roadside assistance. When people call for a tow in Shoshone, they usually expect to wait for hours until someone can get out to them to help. There is never a convenient time for your car to break down, but needing to wait long hours for a tow stranded in your vehicle is not only a hassle, it is completely unnecessary. We send someone out to help you right when we get your call and provide mechanic help at our shop to cut out middleman costs. By calling us, you won’t need to worry about the time, as we always provide the fastest, most reliable auto towing services in the area. We have worked as a AAA service provider for many years and represent the integrity and trust of the AAA brand. We are committed to AAA members in Shoshone to ensure they receive the quality towing experience they deserve. If you belong to AAA, don’t hesitate to call us when you need a tow. You can actually contact us directly when your vehicle is compromised and we will work with AAA to make sure your service bills are worked out appropriately. When it comes to towing services, it is important that you know who to call when you are on the roads heading to and from Shoshone. Semi truck and wrecker towing is nearby if you find yourself in a collision or if your truck is malfunctioning. We offer roadside assistance from experienced, professional drivers who will come to the scene quickly and who will clear the wreckage or broken down trailer quickly. We also make sure that your towing processes is thorough, and we will work with you from the moment we get your call to make sure you are satisfied with our services. All of the divers of our tow trucks are Wreck Master certified. They have been trained in the best towing practices to properly care for your vehicle. They have received prerequisite, on-the-job training to handle different types of towing jobs, including anything from small cars to large semis. Each driver we employ has years of experience in the industry, so you can expect to be greeted with a kind and knowledgable professional when you run into car trouble in or around Shoshone. We set ourselves apart in the industry because of our dedication to your satisfaction. Our staff and personnel are able to handle all the aspects of your tow, including difficult situations involving insurance and police reports. 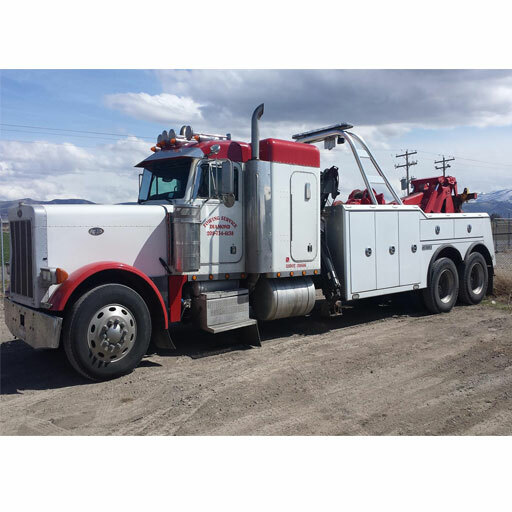 Apart from our fast services, we also provide competitive prices and superior customer service, making us the best choice for your tow company in Shoshone. When you find yourself on the side of the road or in a devastating collision, make sure to give Magic Valley Towing a call at (208) 734-6138. You can rely on our comprehensive services, as we provide the quality towing and vehicle repair services for Shoshone residents. We guarantee that your business with us will help make an already inconvenient situation easier so you can get back tow it.